The Plesiosauria are an order of prehistoric marine reptiles that include the Plesiosauridae and Elasmosauridae. Members of these two families are commonly thought of as having long necks, four flippers, and a short tail. 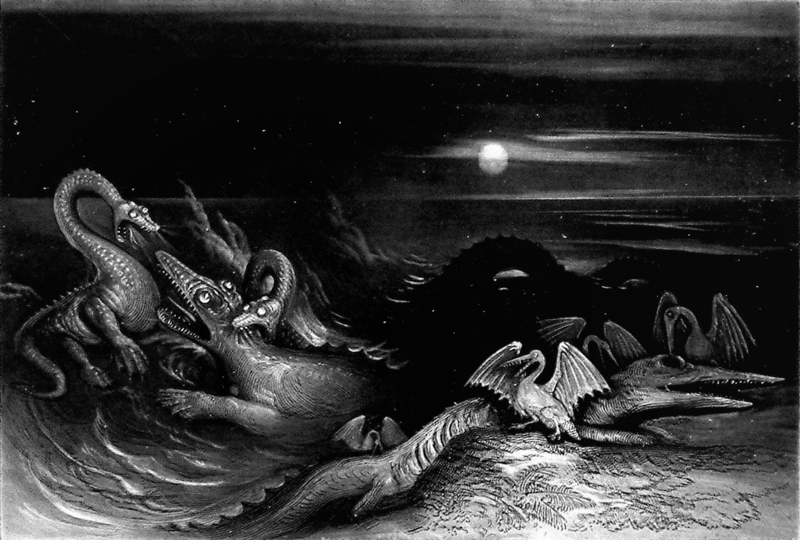 A number of fresh water lake monsters are thought to be the last remnants of these extinct creatures. 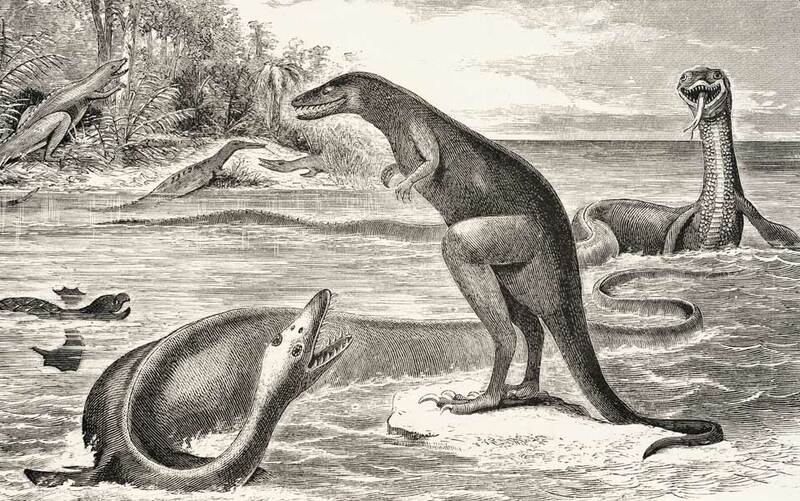 Elasmosaurus also played a role in the infamous "Bone Wars" between Othniel Charles Marsh and Edward Drinker Cope – an episode that demonstrates how peer review can help prevent a load of public embarrassment, and save money to boot. Representing the Elasmosauridae in 1/72 scale is the CollectA Hydrotherosaurus (88139) which scales out exactly to 13m in length. It would be nice to have a real Elasmosaurus in 1/72 scale though, since the body of Hydrotherosaurus (or at least of this particular model) does not quite have the broad, flattened shape of a typical Elasmosaur. For the Plesiosauridae, Kaiyodo makes a couple of Plesiosaurus that are roughly similar in size and appearance. The one that I own is the Capsule Q Museum Plesiosaurus. Presumably this model represents one of the larger species, since it is supplied with a 1/72 scale diver for size comparison. There is also a secret version of the Capsule Q model with a more elaborate color scheme. The UHA Dinotales Plesiosaurus (which I don't have) is also very similar in size and appearance to the Capsule Q version, even though it represents a smaller 3.5m Plesiosaurus. The last figure is the Horrorclix Nessie (Nightmares #043). 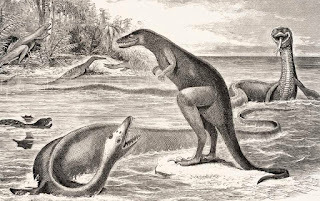 The miniature has its neck bent in swan-like fashion, which (despite popular depiction) is an impossibility for plesiosaurs. 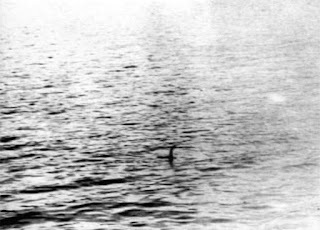 Nessie bears somewhat of a resemblance to the Plesiosaurus illustrated in The Book of the Great Sea-Dragons. The Sea-Dragons as they lived. 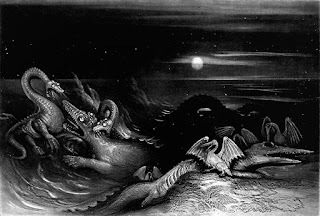 The figure really embodies Hawkins' appellation of "Sea-Dragon" as applied to marine reptiles, and bears only a superficial resemblance to Plesiosaurus. 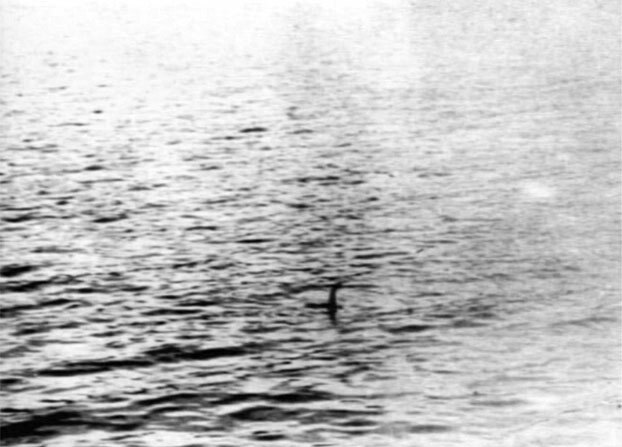 In closing, though many cryptozoology aficionados like to draw comparisons between the Loch Ness Monster and Plesiosaursus, there are many arguments supporting why the Loch Ness Monster isn't a plesiosaur. A comparison between Hydrotherosaurus and Plesiosaurus.